The things you do and say around your children and your spouse during the custody battle can quickly become evidence against you. Courts consider it in the children's best interest to grant custody to a stable, loving parent. An angry or emotional exchange with your spouse or children, or a thoughtless physical expression of frustration, can be used to color the judge's perception of your character. Any such actions also could create a negative picture of your home environment. In this way, emotional and angry outbursts may reduce your chances of winning custody. Courts have consistently held that the children's best interest is served by granting custody to the parent least likely to alienate them from the other parent. One parent actively seeking to turn the children against the other in a custody fight is called parental alienation. When parental alienation is at work in a custody battle, judges often grant custody to the parent who doesn't engage in such behavior. Judges also consider which parent has been the children's primary caregiver, with the focus on preserving this arrangement and maintaining continuity. Being especially mindful of your children's needs and taking an active role in their well-being during the custody battle indicates best interest. This is behavior that judges notice and that can work in your favor in securing the right to continue as the primary caregiver. It is not uncommon for a judge to put temporary orders in place governing residential custody, visitation and child support early in the divorce-custody process. These orders reflect what the court feels is in the children's best interest during the pending divorce case, and following them to the letter indicates a willingness to do what's best for the children. When a parent given residential custody allows the other parent visitation, it indicates that the residential parent won't alienate the other. When a noncustodial parent visits his children as scheduled, it indicates his desire to give them the time and attention they need to maintain their relationship. Paying child support on time shows the paying parent's willingness to provide for the children. 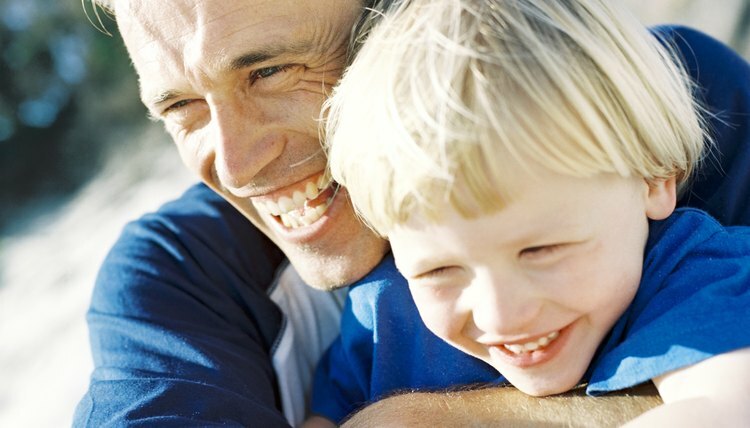 The Price Law Firm: How Can a Father Win Custody? In divorce, child custody cases can be highly contentious and incredibly damaging to children. If you are preparing to seek custody or visitation with your child, it's wise to hire a family law attorney who can guide you through the process in your state. While state laws vary somewhat, all states use a "best interests of the child" standard that aims to take into account the specific needs of each child and family. Regardless of the state in which you reside, there are steps you can take to strengthen your case and protect your children. Divorce decrees are not necessarily forever, especially regarding custody. Even when parents enter into a custody arrangement by consent and the terms are included in the decree, they always have the right to change their minds as to what they agreed. However, unless both parents consent to the change, modification of the decree requires court approval. Court approval hinges entirely on what is in the best interests of the children and can be difficult to achieve.